Charles Sanders Peirce (1839-1914) is regarded as the founding father of pragmatism and a key figure in the development of American philosophy, yet his practical philosophy remains under-acknowledged and misinterpreted. 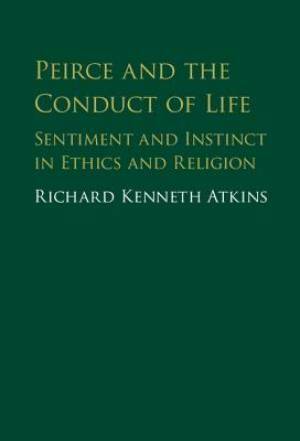 In this book, Richard Atkins argues that Peirce did in fact have developed and systematic views on ethics, on religion, and on how to live, and that these views are both plausible and relevant. Drawing on a controversial lecture that Peirce delivered in 1898 and related works, he examines Peirce's theories of sentiment and instinct, his defence of the rational acceptability of religious belief, his analysis of self-controlled action, and his pragmatic account of practical ethics, showing how he developed his views and how they interact with those of his great contemporary William James. This study will be essential for scholars of Peirce and for those interested in American philosophy, pragmatism, the philosophy of religion, the philosophy of action, and ethics. Peirce and the Conduct of Life by Richard Atkins was published by Cambridge University Press in September 2016. The ISBN for Peirce and the Conduct of Life is 9781107161306. Be the first to review Peirce and the Conduct of Life! Got a question? No problem! Just click here to ask us about Peirce and the Conduct of Life.